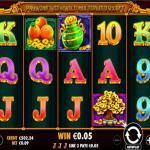 Master Chen’s Fortune is a Chinese-themed video slot machine by Pragmatic Play. It has nine stake lines with five reels and three rows of symbols. 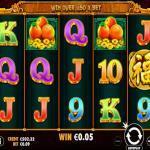 The slot machine has a colorful design with a top paying payout that is equal 555.55x the stake you placed. Master Chen’s Fortune invites you to join Master Chen in his adventures for a chance to claim your share of these fortunes. 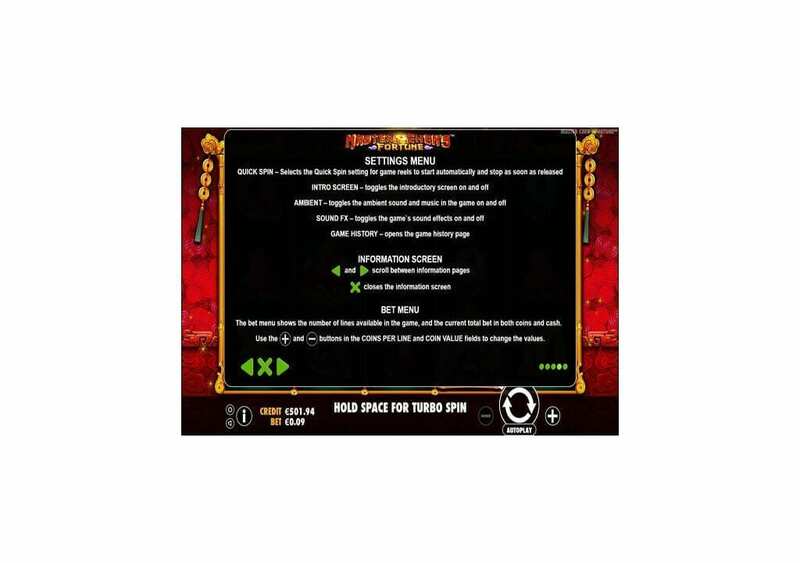 The slot machine is playable with stakes that vary between 0.09 and 45 credits for each round. 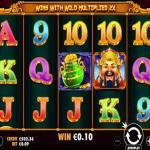 The slot machine has a wild multiplier with great payouts. On the other hand, it lacks any bonus features and free spins, but it does come with a good jackpot payout. Play it here for free and see all that it has to offer you before you play it for real cash. 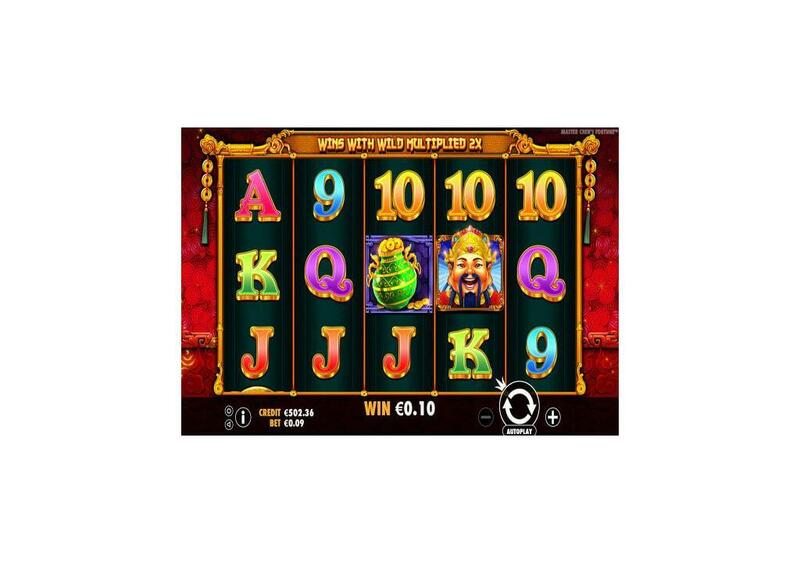 Master Chens Fortune is a Pragmatic powered video slot machine that has a simple format of five reels and nine lines. It has the standard Pragmatic Play format and visuals, including its payout potential, fun theme, and overall fun ride. 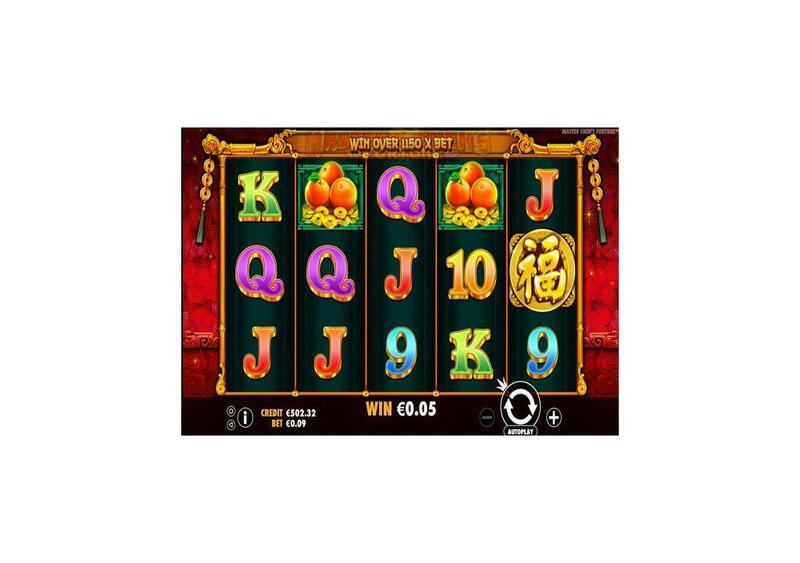 The slot machine takes you to China where you will join Master Chen, the treasury holder, for a chance to earn a share of his gold coins and fortunes. 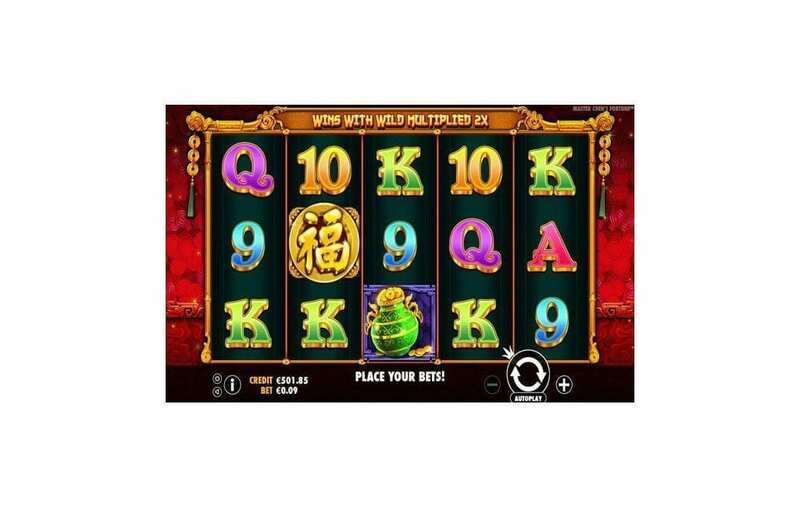 The slot machine has many attractive opportunities, and you can receive these payout with the help of the nine lines, the wild multiplier and the jackpots. You will be able to claim a massive reward that can amount up to 555.55x the bet you placed. Master Chen’s Fortune has easy and smooth gameplay with the control panel underneath the reel for easy access. 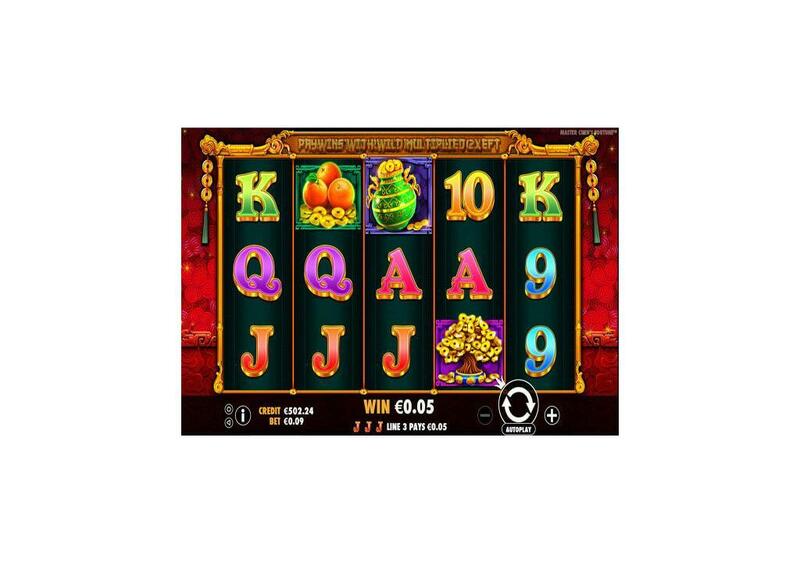 The online slot is playable across multiple devices and operating systems including Androids, Windows Phones, Laptops, Desktops, and iOS devices. Last but not least, the visually immersive slot is playable here for fun with demo credits, so you can check out all its offerings before you place any real money bets on the video slot at an online casino that hosts the slot. As you can expect from the title, Pragmatic Play chose for the slot, Master Chen’s Fortune has an Asian theme. You will join Master Chen, the treasury holder for a chance to claim a share of his gold coins and fortunes. So get ready for an Asian adventure that is like none other for a rewarding adventure. You might recognize the name of Master Chen from the LEGO NINJAGO, he was the leader of the criminal empire and was also the owner of Mr. Chen’s Noodle House. He became a master of deception and an evil mastermind. So you better be ready to embark on a journey that is full of adventure, golden coins, and riches. Master Chens Fortune has a five-reeled setup with nine lines and three rows of symbols. The visuals of the game are well-designed. The symbols that will land on these lines include Master Chen, Golden Chinese Lettering, golden coins tree, apples and coins, the Asian cat and poker card symbols with a golden outline. The control panel is underneath these reels, with the spin button, betting options, the paytable and more. Master Chen’s Fortune has a Return to the Player Percentage (RTP) of 96.48%, which is a high percentage whenever you compare it to most slot machines by the developer. 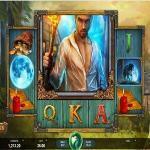 Although that percentage is only theoretical, it is still an indicator of the payout potential that the online slot machine has to offer you. Like most Pragmatic Play slot machines, you will claim a reward when you get three symbols, minimum, on the same line. These similar figures have to start at the leftmost reel, and work their way to the right since the slot has the “Pay Left to Right” format. The reward depends on the stake, the symbol and the number of symbols you managed to match. Checking the different prizes and features of Master Chen’s Fortune is easy, all that you have to do is click on the “i” button at the control panel. The symbol that can contribute to making the biggest payout is the lucky Chinese cat. It can give you an award that is equal to 25,000 credits (when you place the max bet and get 5x Cats on the same line). Master Chens Fortune might lack in this department, as it does not come with any fancy bonuses, Pick Me Rounds or free spins. It only has a wild multiplier to offer you. 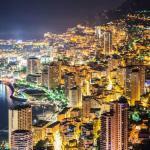 It makes up for that by providing you with many winning chances with massive payouts. Since Master Chen is the main character of the video slot, it makes sense for him to represent its unique symbol. He is going to use his influence and power to substitute for all other icons. He is going to replace the logo that is going to result in the highest payout possible on each paying line it lands on during the gameplay. Chen can only appear on the three middle reels (2, 3 and 4). That is not all, as all of the payouts that you create with the help of the wild will have a 2x multiplier. 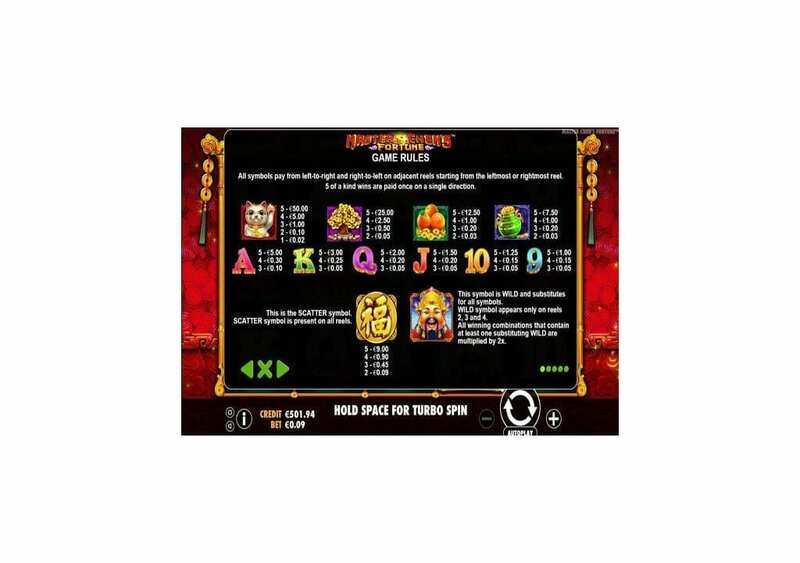 The Golden Asian Lettering is the scatter icon of the video slot. It can appear for you anywhere on the slot's reels to give out Scatter payouts that have a maximum of 4,500 credits when you get 5x of these icons after placing the maximum bet.